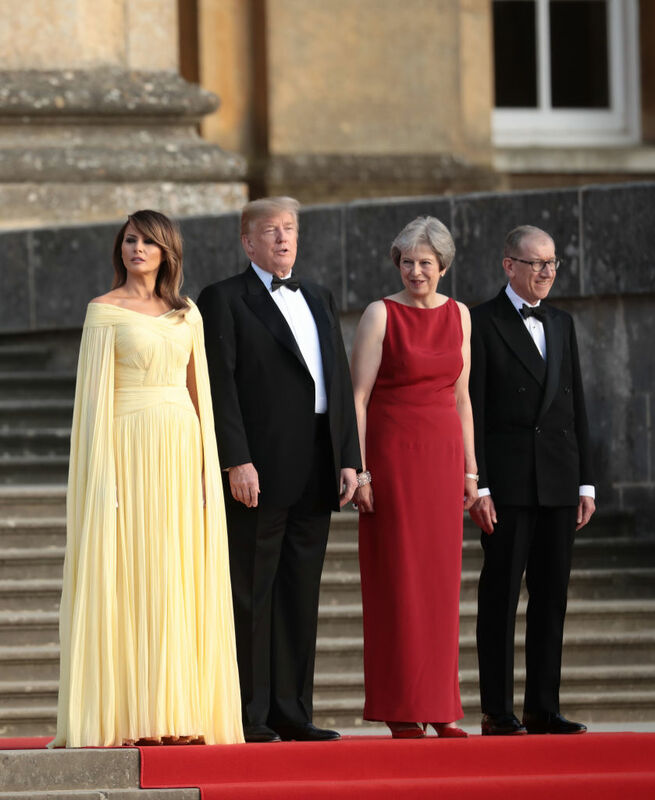 President Donald Trump and First Lady Melania Trump arrived at Stansted Airport on July 12, 2018, in Essex, England. 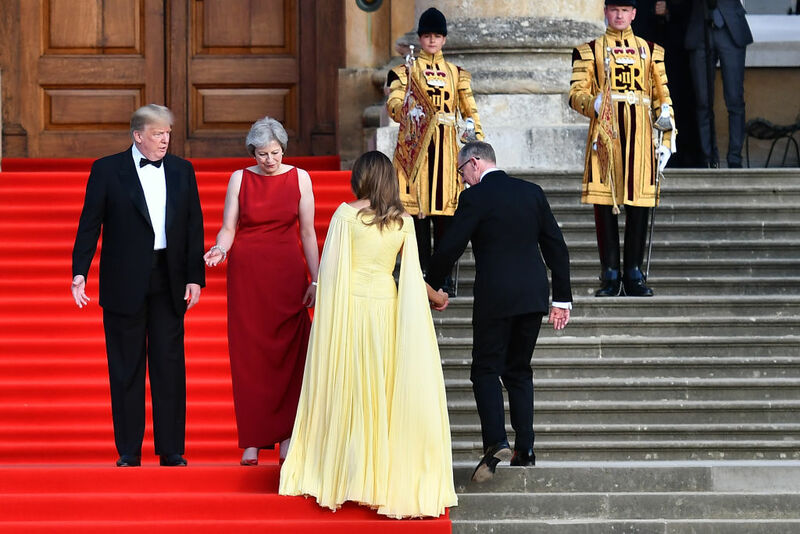 The President of the United States and First Lady touched down in the UK on Air Force One for their first official visit. 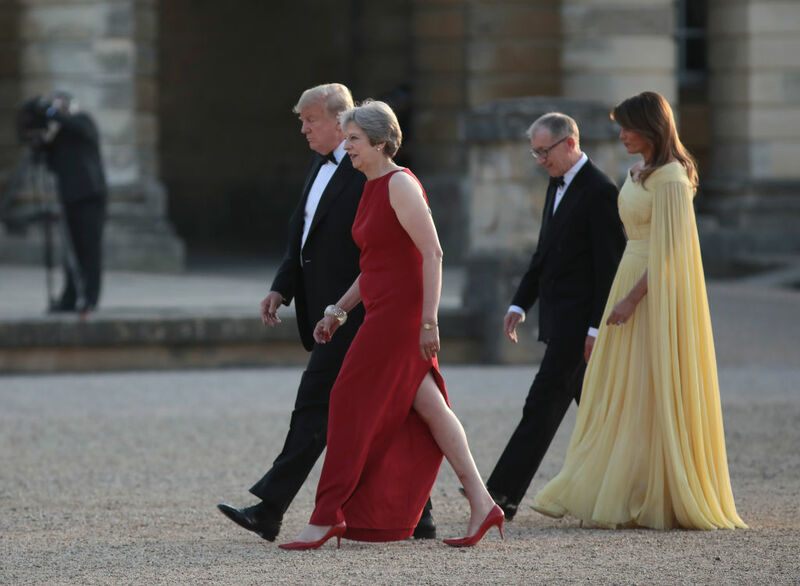 Whilst they are there they will have dinner at Blenheim Palace, visit Prime Minister Theresa Mayat Chequers and take tea with the Queen at Windsor Castle. 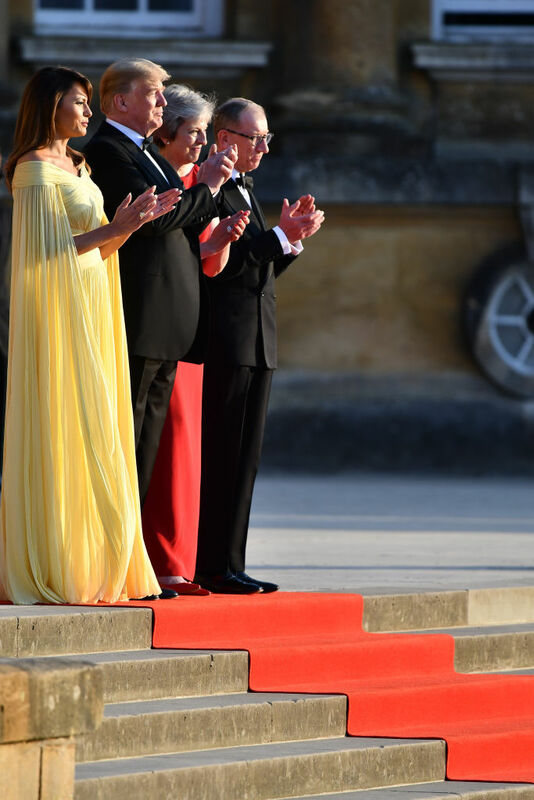 A few hours after arrival there was a welcome ceremony at Blenheim Palace. 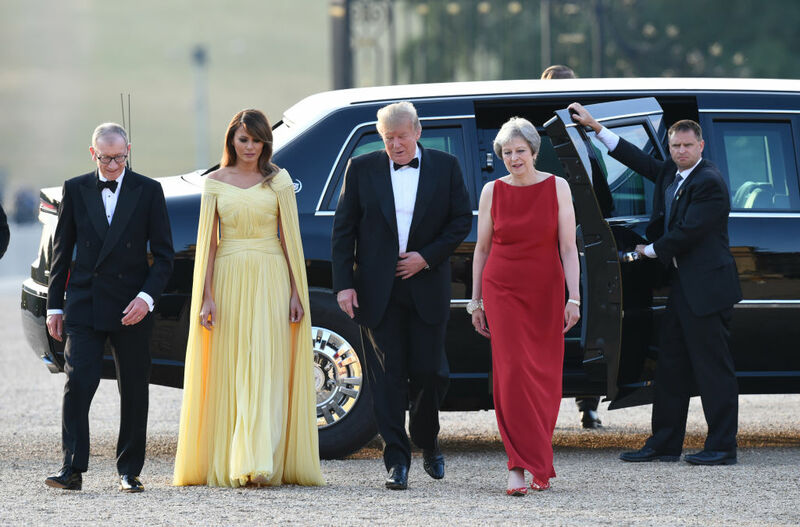 The Prime Minister hosted dinner for the President and First Lady and business leaders as part of the First Couple’s official visit to the UK.